59th day of the year. There were then 306 days left in 2019. 70th day of Winter. There were 20 days left till Spring. People who have never worked in government may not understand what a big deal this Kushner story is. Aside from the security risk and the lies, it is such an insult to every public servant who jumps through a million hoops to do things the right way with zero margin for error. 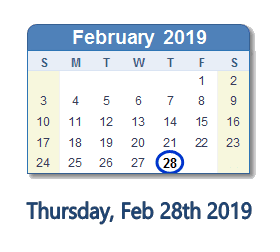 What happened on February 28th 2019?